Does your Saxon hot water heater always run out of hot water? Has your Saxon hot water service gone cold? Is your Saxon hot water unit starting to leak? Would you like a service to your Saxon hot water system? 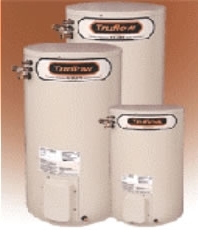 Would you prefer to have a more energy efficient new hot water tank? Do you think your Saxon hot water system is boiling all the time? Saxon has gone into Liquidation (as at December 2011). However, we can still repair or replace them with an alternative hot water product. pure drinkable water straight from the main water supply. Flo-Rite Plumbing can service or repair your Saxon water heater at competitive prices. Our service vehicles are equipped to carry out hot water replacement and repairs to Saxon Hot Water Systems, Hot Water Heaters, Hot Water Tanks and Hot Water Units. We guarantee quality service at competitive prices. Turn to us for free advice and quotations and receive prompt attention from our experienced and qualified staff. We are Licensed and Insured Solar Hot Water - Gas Hot Water Service - Heat Pump and Electric Hot Water specialists as well as Plumbers, Drainers and Gas Fitters. All of our trade staff have Plumbing, Drainage, Electrical and Gas Fitting Licences.